Free Registration - Required in order to tryout! Updated Thursday April 18, 2019 by Kris Marceca. Tryout registrations are NOW OPEN for the 2019 AGSA Spirit program! We plan to have teams at 8U, 10U, 12U and 14U. To be eligible, players in 8U, 10U and 12U MUST be playong in the AGSA Spring season. 14U eligible players may be playing in HS programs and are thus still eligible. There is NO PLAYING UP in this program even if a child is playing up in the Spring Hpuse season. Tryout registrations are FREE but pre-registration is REQUIRED. Register by going to the regular AGSA Webpage (agsafastpitch.com)and click on the ”AGSA/SAGE Prigram Registration Now Open” or the green “Login” button. Login and registrer. Tryouts are scheduled for 4/28/19 and 5/5/19 at Greenbrier #1 (Yorktown HS). Players are encouraged to plan to attend both tryouts but critically to attend the first session as Arlington Springtime weather can be dicey. All tryouts will be held at Greenbrier #1. Contact the Spirit Commissioner Paul Webster at paul.s.webster@gmail.com or the specific team head coach listed above if you have any conflicts. 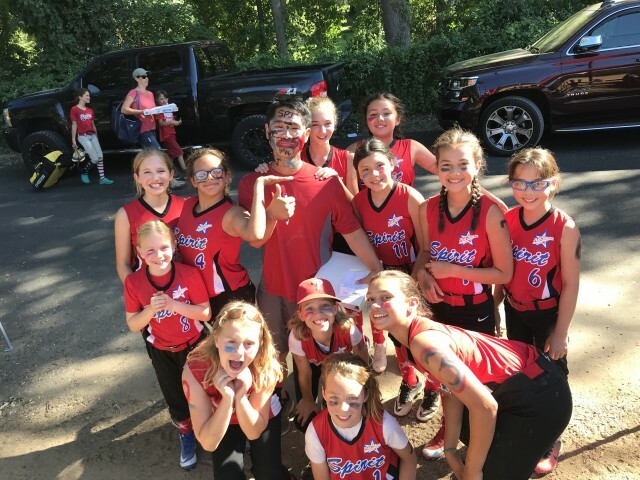 Girls are asked to wear comfortable clothes, cleats if they have them and bring their gloves, water, and if they have them, face masks, bats, batting helmets, catchers equipment. Tryouts are expected to last between 1.5 - 2 hours - please arrive at the designated time for check-in. Teams will be announced as soon as possible following the tryouts. If, for any reason, your daughter cannot attend her scheduled tryout, please contact the Spirit Commissioner or Assistant Commissioner asap. If you have any questions about registration, please contact the AGSA registrar, Kris Marceca at agsaregistrar@gmail.com.